Change IP address and browse internet anonymously with VPN. Cyber threat concerns are increasing by the day. With the surge in the use of new technology and IoT, the threat is even more. Hackers find new ways and means of hacking sensitive information. To tackle the same, a number of cyber experts are trying to find out new ways of overcoming such issues. One of the very easy and affordable method is a virtual private network or a VPN. One can use virtual private network services and change IP address for anonymous browsing. Just Look At The Cyber-Attacks That New Jersey Faces Each Day! If you are not aware about the density and the seriousness of the issue, then you must check what New Jersey’s chief minister has to say. According to Senator Ian Gorst, the government of Jersey fights almost 500 cyber-attacks on a daily basis. In fact, he has launched a new cyber security strategy in order to deal with this problem. This strategy mainly aims at protecting the sensitive data from hackers. The government basically wants to have strict cyber laws. But at the same time, they do not want the civil rights of the common man to suffer. The government is also eyeing to train youth in cyber protection. Therefore, they can have more experts who can fight with this menace. One of the ways to keep cyber-attackers at a bay is by making use of a VPN service. A VPN offers enhanced security by encrypting all the data. Le VPN, one of the reliable VPN providers, offers encryption with a top-secret level cipher. As a result, no hackers and eavesdroppers can reach your valuable data. 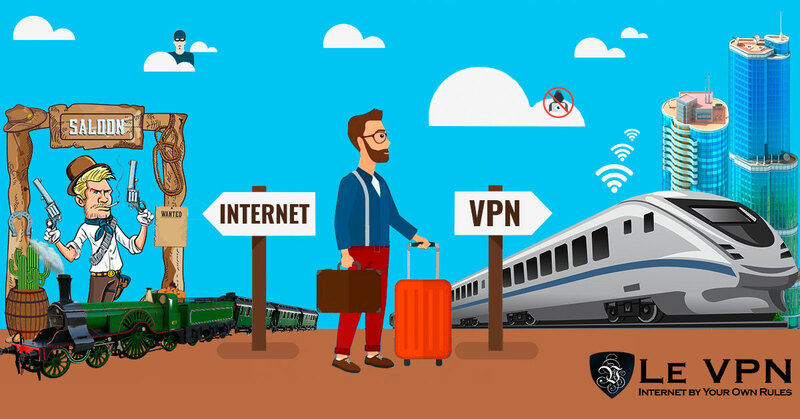 When you opt for a reliable VPN service provider, all that you need to do is change IP address to that of the service provider’s. This will help in protecting your identity in the online world. Additionally, a VPN will provide better privacy and security. You can easily make use of public Wi-Fi without worrying about the prying eyes. However, this is possible only if you opt for the best VPN service provider. Le VPN is not a free service provider, but it is a reliable service provider. The packages of Le VPN are priced competitively. When you opt for le VPN’s VPN package, you can change IP address to any of 114 countries, where Le VPN has VPN servers. Yes, you read it right! Le VPN has servers in 114 countries around the world. E.g. If you want to watch any UK channel or Tele serial, but it is blocked in your region, you can simply change the IP to Le VPN’s UK IP and watch the content as if you are sitting in the UK itself. Once you subscribe to Le VPN, you can be sure that all your data is encrypted. Le VPN makes use of high level of data encryption. Your sensitive information is protected even when you make use of public Wi-Fi or hotspot. So, opt for Le VPN and protect yourself from online threats.